This is something that you would have seen in Iron Man Movies but Samsung is adamant on giving wings to screens literally. 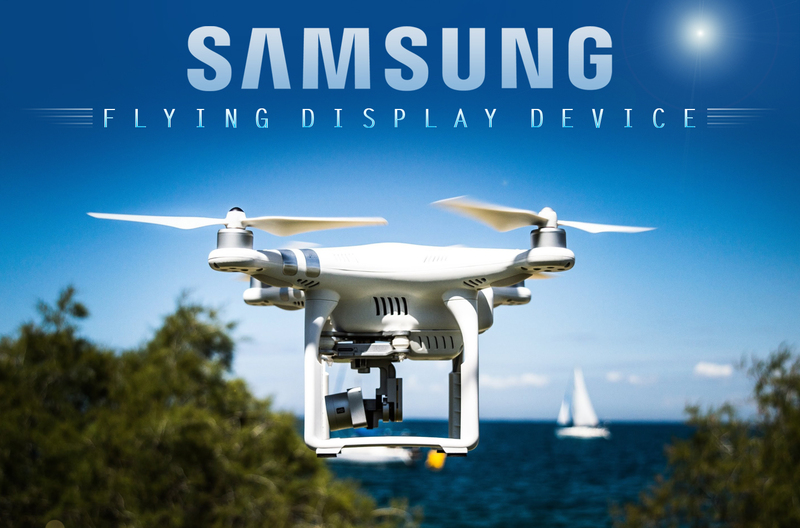 Samsung has patented a flying display that is mounted on a drone and it will follow your eye moments. If reports are to be believed The drone will have a voice-recognition capability along with a GPS and Wifi Based positioning system. Samsung has patented the design for the drone in Korea with an integrated display that is capable of identifying your face and pupils and can follow the moments of your Pupils also it will be adept in reciprocating to your hand gestures and position. 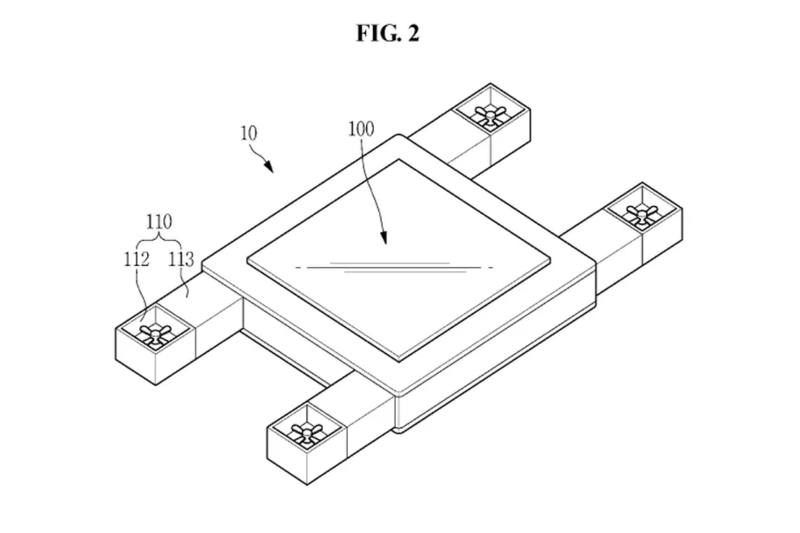 The patent in the image shows a unit that features a display at the center with four propellers on each side. As per reports on the internet the patent of the drone will include a camera and observation system to send info to the main controlling unit. The advanced system has a capability to differentiate users' eyes, head or fingers in real time. The speed of the drone can be controlled using your body movements also the direction can be controlled by your hand and pupil moments. It will also have a capability to recognise its prime user in a group of people using the face recognition technology. It is Likely that the unit will also have a gyroscope sensor, a vibration system, a motion sensor along with accelerometer. Voice recognition capabilities, as well as GPS and a Wi-Fi-based positioning system are other functions the patent outlines that the drone could have. The application was filed on January 3rd, 2016 and granted on February 13th, 2018. There are several other companies working on the same concept drones one is Amazon it also has patented a self destructing drone in case of an emergency. Drones will soon make a splash in the market with different innovative concepts and are expected to disrupt the advertising market as well.